The effects of the globalization process on the current status and future prospects of the nation state is an essential topic for any course on globalization. As Professor Mandred Steger has written, global markets frequently undermine the capacity of governments to set independent national policy objectives and impose their own domestic standards. In his pioneering 1997 book on globalization, One World, Ready or Not- The Manic Logic of Global Capitalism, the American journalist William Greider describes the various ways in which nation states have lost power to the global markets for commodities and cultural products to multinational corporations and to supranational organizations that offer benefits at the cost of giving up a measure of national autonomy. The global labor market catalyzes large migrations of workers across national borders, thereby changing the dynamics of domestic employment markets and even threatening the integrity and continuity of national identity in the eyes of many citizens. The principles of global finance, as Greider points out, are transparent and pure, maximizing the return on capital without regard to national identity or political and social consequences. One of the great dramas of the current globalization process has been the contest for power between nation states and the great multinational corporations that, along with the state capitalist enterprises of the emerging world, dominate the global economy. One aspect of this contest is the power of the state to collect taxes from multinational corporations that have devised many clever and often legal schemes that have allowed them to pay little or no tax on profits they’ve made outside of their home countries. Only weeks after the traumatic events of September 11, 2001, William Greider asked some pointed questions about the relationship between American multinationals and the nation state which had afforded them the protections they need in order to operate. “Where does loyalty reside,” he asked, “for those American corporations that have rebranded themselves as global firms?” Greider provides some strikingly the denationalized statements from those he calls the architects and cheerleaders of corporate globalization. The national interest,” they assert, “now lies in making the world safe for globalizing commerce and capital. As Greider noted in 2001, nation states, at least the largest and strongest ones, have not lost any of their powers to tax and regulate capital in commerce, to control international capital flows, and other globalizing practices In the face of market pressures, major nations simply retreated from exerting those powers. The United States as principal promoter and defender, led the way. While Greider’s blunt dichotomy between the interests of the multinationals and the interests of society may seem oversimplified and polemical to some, this course presents evidence that his analysis is supported by substantial evidence. The logic of globalization, Greider says, has led in fact to a redefinition of national interest, at least for the United States, in which government policy assumes that advancing the well being of shareholders in global firms as opposed to the general population, workers, and communities, provides the highest overall benefit. By now it is clear that the study of globalization requires an examination of the balance of power between nations and corporations. The mid-19th century English politician, Robert Lowe, the father of the corporation and the inventor of the modern concept of limited liability, described the new limited liability companies of his era in 1856 as “little republics,” meaning that they were seen as democratic institutions and were invested with, as he put it, “certain powers deemed necessary to the successful prosecution of some design of general utility and public benefit. What is more, having developed outside the purview of the state, they changed the modern world by ushering in the age of capitalism as we know it. 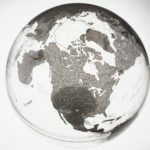 Discussions of globalization over the past two decades have devoted much more attention to multinational corporations than to the characteristics of nation states. The great multinationals after all, have had the advantage of acquiring relatively recently the enormous power that has made them rivals of nation states. It is true that the globalization process has in some ways undermined state sovereignty by transforming the global market and by making national borders increasingly ineffectual definers of national identity. Less state sovereignty and more permeable borders do not necessarily cause citizens to feel less emotional attachment to their nation states. The persistence of national feeling in the European Union to take one example, has been confirmed over and over again. A Euro barometer survey released in May 2008 showed that nine out of 10 of those interviewed identified with their native countries, while only half felt a similar attachment to the EU. And there is no consistent trend, since feelings of European identity vary widely across the European Union. It is the agencies of nation states, not corporations, that are charged with protecting their citizens from crime, discrimination, the abridgment of basic rights, unemployment, and impure food and drugs, among other hazards to safety and well being. The European Union presents us with an opportunity to observe the at times tense relationship between nation states and a supranational organization to which they voluntarily belong. The European Union could be seen as a kind of prototype of a globalized world in which nation states are required to accept a great deal of regulation and standard-setting by a central authority. In the context of modern European history, which saw the emergence of the Westphalian model of national sovereignty and territorial dominion during the 17th century, the powers of the European Union represent an extraordinary set of limitations on national autonomy. The so-called French cultural exclusion was aimed at protecting European cultural diversity in general and French cultural institutions in particular. What is more, the French delegation had an important ally in that the International Trade Committee of the European Parliament had voted several weeks earlier to approve an amendment to the transatlantic treaty asking for the exclusion of the cultural and audiovisual services, including those provided online, from the overall trade agreement. ” While he said he favored cultural diversity, he argued that the proponents of the cultural exclusion had no understanding of the benefits that globalization brings also from a cultural point of view, in terms of opening horizons and broadening our perspectives and the sentiment of belonging to the same mankind, which he said, “I think is a very important concept against all forms of narrow nationalism and protectionism. ” In a word, the EC president simply cast aside the complex and important debate regarding the possible social and cultural costs of a globalization process that many have come to see as synonymous with the homogenizing of the world. What is so striking about Barroso’s fervent endorsement of globalization is its bludgeoning quality and the suggestion that opponents of globalization are the same sort of nationalists who brought the catastrophe of war to the European continent on more than one occasion over the past century. The triumphalism of the EC president’s declaration will send shivers down the spines of the millions of Europeans who, now more than ever, resent the powers of the European Union and would be glad to see it consigned to the dustbin of history. In the United States, the federal government has come to the financial rescue of corporate giants such as Lockheed, Chrysler, and General Motors. In other words, American-style capitalism has accommodated a degree of state intervention in the private economic sector. State capitalism goes much farther than American-style liberal capitalism in combining the powers of the state with the powers of capitalism, as The Economist magazine has put it. Even limited and temporary initiatives of this kind awaken their ideological animus against any policy that even smacks of genuine state capitalism. The Norwegian Ministry of Petroleum and Energy owns 2/3 of the shares in Statoil, but this does not make Norway a state capitalist economy, in part because the Norwegian government does not use Statoil or the sovereign wealth fund it has made possible as political instruments. State capitalist governments such as those in China, Russia, and Brazil operate by a different set of rules that gives the state and its political class enormous power over investments in and the management of state capitalist enterprises. State capitalism can mean direct state ownership and management of companies or the promotion of national champions that are privately owned but receive overt or covert support from the government in power. For this reason, there is a long list of countries that have engaged in state capitalist projects. State capitalism has become an attractive alternative to the recent failures of liberal capitalism to maintain global economic stability. On a global scale, the world’s biggest oil companies are all state capitalist enterprises. State capitalism of the undiluted variety has been hugely successful in recent decades. China, the global economic superpower of the future, is a genuine state capitalist regime. The state is a majority shareholder in the largest Chinese companies, and the regime’s politicians exercise tremendous influence over economic policies and practices. A crucial aspect of Chinese state capitalism is that state companies have direct access to China’s highest government officials. How does state capitalism fit into our study of globalization? We already know that competition is a key globalization topic. On one side, we have the liberal capitalism of the Western democracies that tends to minimize state intervention in the economic sector. Confronting this type of capitalism is the surging state capitalism practiced by authoritarian regimes in China and Russia, along with primarily nondemocratic oil states that have built their economies on their vast reserves of this essential natural resource. In this sense, the contest between liberal capitalism and state capitalism offers contrasting political systems as models for economic success. At a time when the liberal capitalism of the United States and the European Union is stagnating, or as in some EU states failing to meet basic social needs, the appeal of the state capitalist model is increasing. As one commentator wrote in 2012, “Over the last decade, free-market policies have lost their punch in creating jobs, new industries, wealth, and a bright future for the United States. Chinese state capitalism, on the other hand, has won round after economical round by violating free-market principles. ” Have those principles failed us? And if so, why? This American author’s answer is not that Chinese capitalism is superior to American capitalism, but that China has neutralized America’s advantages by appropriating intellectual property, luring Wall Street firms into investing in Chinese companies, inducing US businesses to outsource jobs to China, and by permitting the ruthless exploitation of Chinese workers. His solution is to reinvent capitalism to wrest strategic advantage from China by creating a strategic capitalism based on balancing the US federal budget, which is a hopeless proposition for the foreseeable future. For one thing, his reading of the situation simply ignores the advantages of different kinds of state intervention that have been recognized in developed societies, including Britain, which has created a strategic investment fund to invest in a range of emerging industrial strengths. The emerging countries, in particular, are attracted to state capitalism for several reasons. Why not manage an economy rather than leave it exposed to the globalization forces that have failed to advance the economic interest of so many undeveloped societies? Third, state capitalism hands a great deal of power to politicians in authoritarian governments who are used to exercising unchecked power. Finally, as The Economist pointed out in 2012, “The most interesting argument in favor of state capitalism is that it makes it easier for emerging countries to learn from the rest of the world. The critique of state capitalism is long and detailed, and is rooted primarily in concerns about the kinds of incentives that are likely to motivate economic actors in a state-managed system. In the last analysis this scenario should not offer much cause for celebration to the liberal capitalist executive who must do business with state capitalists. Their inefficient operations may well be less significant than their built-in advantages when they are negotiating with foreigners who do not understand the Chinese language or the internal logic of state capitalism. Is a national champion a type or a special kind of multinational corporation? Yeah, I would say a national champion is a special kind of multinational corporation, in the sense that it receives special assistance from a government. The government makes a decision that special resources are going to be invested in this particular corporation because it represents a promising enterprise, and one that is going to be able to compete well in the international market with other big multinationals. What does your quote mean, national champions are the world’s greatest learning tool? A national champion corporation is likely to be better developed, wealthier, technologically more sophisticated than most other corporations, so that if a national champion corporation forms some sort of alliance, perhaps with a domestic or a foreign supplier which is not as big, and not as technologically advanced, you can see the national champion corporation as a reservoir of knowledge and expertise, research and development. How do companies become national champions? A company becomes a national champion corporation by being selected by powerful politicians in a government for special investment, special development, so that it can produce products and services that are highly competitive on the international market. Where is most of the research and development? One aspect to this sort of state capitalism is that there are non-professional criteria that can play a role in the selection of which corporation, or corporations are picked to be national champions. If, for example, there is a powerful politician with the ability to direct government investment toward this company or that company, and that politician has friends and or relatives who are in managerial posts in this particular corporation, there’s a pretty good chance that favoritism is going to play a role in over-investing, in a sense, in this particular corporation for reasons having to do with personal bias, rather than professional assessment. Why might state capitalism appeal to multinational corporations? State capitalism can be very appealing to multinational corporations, precisely because they can derive specific advantages from that special relationship to the state. Why do nations and corporations need each other to build a good society? Governments and corporations, generally speaking, have different functions. To produce exports that produce an inflow of resources into the economy in which it is based, and of course, that gets complicated when you have multinational corporations whose allegiances and operations can be located in a variety of places. That, of course, in this day and age, is very problematic, because of the complexity of tax law, the tricks, legal and illegal, that corporations can use in order to avoid paying taxes to the quote unquote home government. I think for many policy makers and politicians, there is some sort of vague association between the production of elite athletes and the national security. In a certain sense, you could say analogically that a national airline, or a national broadcaster is a certain kind of national champion, which is getting special government attention and investment, because the people who run the country are, I think sincerely convinced that the country needs this sort of representation along with national champion corporations that can create wealth.